UC Santa Cruz Assistant Energy Manager Sarah Gilchrist this year earned the Association of Energy Engineers’ Young Energy Professional of the Year award. The award is given to someone 35 years of age or younger who has made outstanding contributions to the energy profession and to their community. Contributions can be in educational and collegiate achievements; professional and technical society activities; civic and humanitarian activities, continuing competence; energy management achievements; climate change activities and achievements; and renewable energy activities and achievements, according to the association. 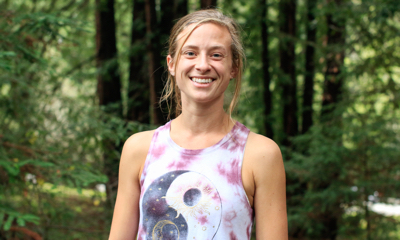 Gilchrist joined the Energy Management department after interning as a UC Santa Cruz student. She has been highly involved in the LED lighting retrofit projects on campus, and her work led to successful implementation of the LED outdoor lighting campuswide, the Hay Barn lighting design, as well as the replacement of ultra-low temperature freezers within the Division of Physical and Biological Sciences. Testoni said Gilchrist has been an inspirational and effective mentor to student interns within the department. Gilchrist earned the recognition in the association’s western region and received the award during its fall meeting.